Eagle eyed viewers reaped the rewards of their efforts at our August 2014 auction as there was strong demand for World misc lots, particularly in boxes. Many lots exceeded the estimate particularly lot 48, described as a ‘World treasure trove on stockcards’ which sold for £2,600 (realisations include buyers' premium of 18%) and Lot 55 an accumulation of GB & BC in 13 boxes sold for £2360. Clearly persistence can pay dividends! Highlights of the British Commonwealth section included Lot 231, a spectacular Cyprus 1880 overprint 1d in UM block of 12 which exceeded the catalogue of £240 and sold for £460. 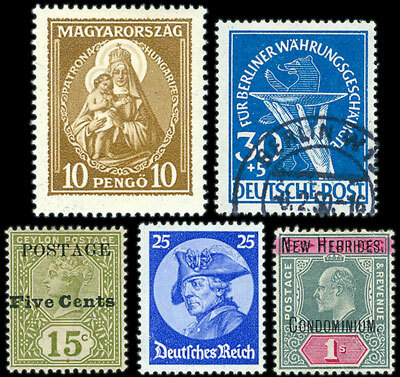 Buyers of foreign stamps picked up some fine collections, with strong demand for Austria, France, Germany & Netherlands amongst others. Competitive bidding drove Lot 406, an accumulation of Third Reich military & propaganda material, from the estimate of £200 to a staggering £1950. 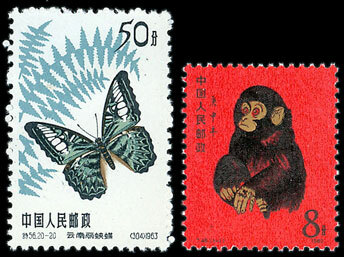 China continues to impress, Lot 346, a Post WWII comprehensive looking collection sold for £3,190 against an estimate of £1,400. 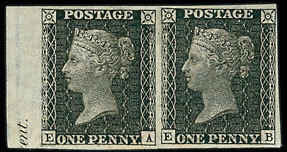 Collections and single items both sold well in the Great Britain section. More unusual items included an 1850 Prince Consort Essay 1d which sold for £680, 1865 Royal Reprint 1d & 2d both in pairs which raised £2,000 & £855 each. A 1913 Seahorse £1 green UM sold for £2600 and very attractive vertical pair blue-green M/UM, sold for £2700.